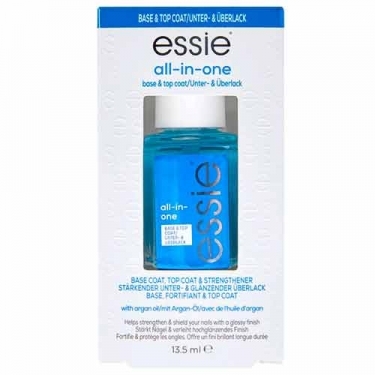 DESCRIPTION: All-In-One from Essie is an integral treatment for the nails. Proper care is the most important basis for perfectly stained, healthy and beautiful nails. The nails are optimally prepared for the manicure and are intensively maintained with underpaints for protection, reinforcement and build-up. This product prepares the nails optimally for painting and guarantees smooth nails with a high gloss finish.